Audiosport in Escondido has the best car stereo system installation in Escondido. We offer the head units, amplifiers, subwoofers, speakers and more! A stereo is only as good as the person installing it. It's not worth it to buy a high quality car stereo system if it isn't properly installed. Whether you are buying from us or you need us to fix an installation problem from another store, we are here to ensure that your stereo is properly installed. 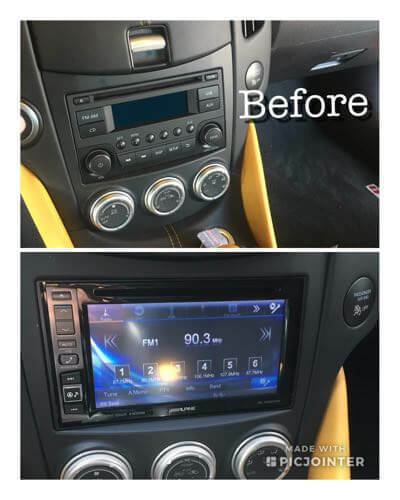 Check out some great examples of car audio installation we have done at Audiosport Escondido, as well as a sample of some of exciting inventory we have in stock. We pride ourselves on quality customer service. We've been helping customers since 1989. Making the right decision to buy the stereo that fits your needs is a process we take seriously at Audiosport. We will take our time to answer your questions and help you make an informed purchase. Call us today to ask us any questions. We're here to help. Get a Brand New Stereo Today! Audiosport Escondido has trained experts in car audio installation. When you get your brand new bumping car stereo system installed, it will look like your car came that way. We bring professionalism and accountability to any and all jobs we undertake. If you have any questions about your car stereo installation, our experts are more than happy to help! Trying to get a new stereo system for your car stereo on a budget? Audiosport has a rotating series of specials on car audio to allow you to save money on premium car audio brands. Get a stereo system, speakers and more at a great price from Audiosport Escondido. Audiosport Escondido is ready to get your car sounding great! No matter the make, model or year of your vehicle we will get our installation experts on the job and get a brand new speaker system installed. Impress friends and people on the streets with a sound system that will turn heads. We offer bumping bass with high quality subwoofers, smooth sound with amazing amplifiers, and loud sound with the best brands in speakers. If you are ready to get your music sounding crystal clear no matter the volume, you have to come to Audiosport in Escondido. It is simple. Just fill out this simple form and we will follow up with you, or give us a call for a quote at (760) 743-2333. Audiosport is the most trusted name in car services and especially car audio, so if you are ready to give your car the sound system it deserves we are ready to help!